﻿"A" Flavors﻿: Chocolate Marble, Fruit Swirl (raspberry, strawberry or lemon), Confetti or Chocolate Chip. Strawberry, Raspberry, Pineapple, Bavarian Cream, Lemon, Cream Cheese, Peanut Butter, Caramel Cream, Chocolate Buttercream, Chocolate Ganache, Mocha Cream, Cannoli. 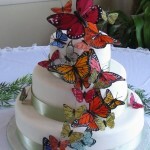 Cake prices are per 1" x 2" x 4" serving, and include buttercream filling and icing. But don't let that stop your creativity…we'd be happy to quote a price based on your selected flavor, filling, icing and detail of design. Fillings: $20.00 per 50 servings. Strawberry, Raspberry, Pineapple, Bavarian Cream, Lemon, Cream Cheese, Peanut Butter, Caramel Cream, Caramel-Coconut-Pecan, Chocolate Buttercream, Chocolate Ganache, Mocha Cream, Buttercream, Fresh Fruit. 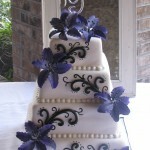 ​All of our "other occasion" cake prices vary based on the size, flavor and detail of design. Quarter Sheet serves 12, starting at $30. Half Sheet serves 40, starting at $52. Full Sheet serves 90, starting at $80. 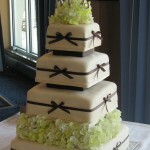 6” cake serves 5-10, starting at $25. 8” cake serves 10-15, starting at $30. 10” cake serves 15-20, starting at $40. 12” cake serves 22-30, starting at $55. ​14” cake serves 36-50, starting at $70.